Factually, Australians have debt over $38 billion in the form of credit cards, which makes about $4,900 for every card holder. Additionally, if you own more than one credit card your burden can be multifold. If this is you, you must be saddled with a lot of interest repayments. It is indeed great to be able to borrow some money. This way you get to buy that long awaited gadget or be it anything when they go on sale, rather than waiting to save up your money to buy it upfront. Plus, we wouldn’t own a house or a car, if it were not for the loans. Everything has a cost. By and large, people are caught up too much in the exhilaration of ticking things off their bucket list of purchase and they fail to calculate the cost of borrowing money. In short, interest repayment is the baggage that tags along with loans. Things can exacerbate, when you have more than one credit card to deal with. Money that is borrowed for your personal use like mortgages, car loans, and credit cards is called non-deductible debt which means the interest you pay on this debt is non-deductible tax. Therefore, when you calculate the money you have repaid including the interests and the tax after, it can be colossal. All you can do is concentrate on reducing your non-deductible debts. Owing to the rate of interest and the tax you would be paying all inclusive of interests you need to cut down on the non-deductible debts. Other thing you can do is close a non-deductible debt like credit card, or car loans, if you happen to come across some surplus money. 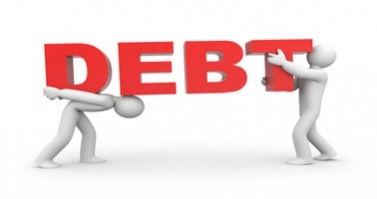 This way you can save on the interest and make your debt repayments more manageable. If you have this extra cash you can use the same to reduce the repayments of interests in someplace else. Let’s consider you have mortgage, you could use this surplus money to close it off. On doing this, you not only close off your mortgage you also save on the interest payments plus you can always make use of the money in future in case of any emergency. Additionally, this would also reduce the years of repaying your debts. Should you have any questions, write to us at www.velansuper.com or call us at +61 3 9034 9709.